Obsidian has confirmed that Pillars of Eternity will not be meeting its original Spring 2014 release target. 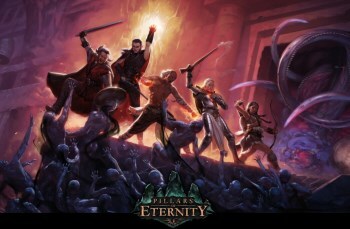 When Obsidian launched the Kickstarter for Pillars of Eternity (previously Project Eternity), the team had pegged the game with a Spring 2014 release target. That being the case, Obsidian has recently confirmed that the game's development will miss that target and that it's release is going to be delayed. The question, of course, is for how long? While Obsidian was reluctant to pin down an exact release window, it confirmed that Pillars of Eternity is unlikely to release in the first half of 2014. The delay, according to project lead Josh Sawyer, can be blamed on the game's expanded ambitions following its massively successful funding campaign. "When we started with a million-dollar budget and a relatively modest game with five classes, that was assuming if we get $1 million we can make this game and we'll probably get it done by April," he said. "We got almost four-times as much money [as we expected] and that's a much bigger game." While some might argue that a bigger budget should speed up the process, Sawyer said that extra money "doesn't mean that immediately [you] just dump four-times as many people on it." While this might disappoint backers and role-playing fans looking forward to the game, Sawyer has revealed that eager gamers will be able to play an Early Access version of the game at some point in the future. "We are going to be having a [beta] section of the game that the players can play through to get a feel for all the mechanics and style of character interactions and all that kind of stuff," he said.